Highways England, the government-owned company responsible for managing the core road network in England, has awarded a contract to convert a section of the M5 southwest of Birmingham into a "smart" motorway to a joint venture in which VINCI's subsidiaries VINCI Construction Grands Projets and Taylor Woodrow hold 40% and Balfour Beatty 60%. This first contract, with a value of £46 million, is part of the Smart Motorways Programme (SMP) introduced by Highways England. It is designed to add extra capacity on around 18 km M5 motorway section between junctions 4A and 6 from three to four lanes by making smart use of the hard shoulder. The project also includes real-time management of traffic flows according to traffic density. Sensors send information to a control centre that is able to modulate speed limits via dynamic signage. The improved traffic flow will benefit thousands of motorists per day. 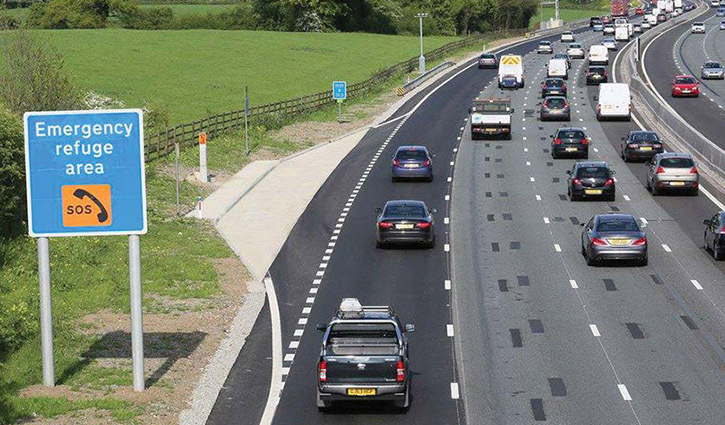 The works package (package 1) also includes two other projects to be carried out during the coming five-year period (the M6 motorway between junctions 2 and 4, and the M4 between junctions 3 and 12). Subject to statutory approval and continued value for money, the M6 is expected to start work in 2017/18 and the M4 scheme in 2016/17 at an estimated combined value of up to £517 million. Final target costs for these contracts will be agreed with Highways England.